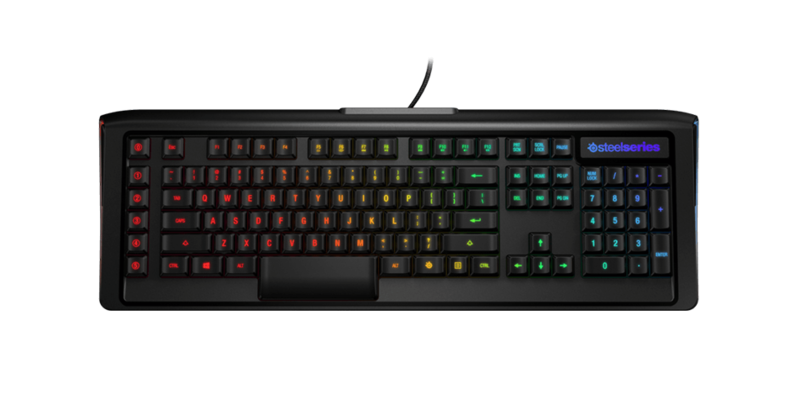 We partnered with experts in switch technology to create the QS1 specifically for the Apex M800. With a 3mm throw depth and a 1.5mm actuation, they only require a 45cN actuation force, meaning fast and ultra responsive keystrokes. Every key is fully programmable, including 6 quick-access macro keys on the side of the keyboard. SteelSeries Engine 3 also includes our feature-rich macro editor for both keypress and text-based macros. Pre-configured lighting options include Breathe, Color Wave, Cooldown Timers and Reactive Keys. Further personalize the Apex M800 by creating and programming your own illumination designs. The premium Apex M800 is the world’s fastest and most programmable mechanical gaming keyboard. Designed for long gaming sessions and outfitted with QS1 Switches, easy access macros, and extensive RGB illumination options, the Apex M800 is the peak of both performance and customization. How do I know if the Apex M800 is the right gaming keyboard for me? Great question! 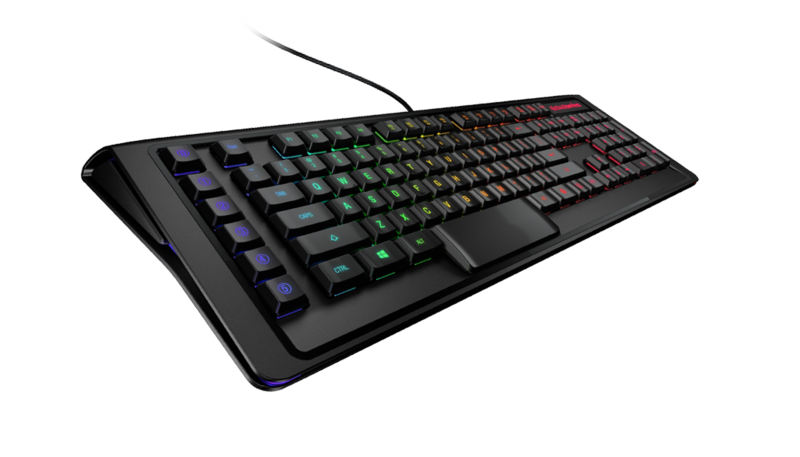 The Apex M800 is the perfect gaming keyboard for gamers who want an in-house mechanical switch, hundreds of RGB illumination options, and Gamesense support. Alternatively, you can use our interactive keyboard guide, and compare the Apex M800 with our other gaming keyboards here. Which languages for the Apex M800 use the QWERTY layout? Which languages use the AZERTY layout? The only two languages that do not use the QWERTY layout are the French and Belgian versions, which use the AZERTY layout. Is the SteelSeries QS1 switch compatible with cherry key caps? No, unfortunately the SteelSeries QS1 switch does not work with cherry keycaps. What are the benefits of the cable management system on the Apex M800? The cable management system allows you to run your cables from your headset under the keyboard for improved comfort and storage. Does the Apex M800 have a key on it that is equivalent to the command key on a Mac? 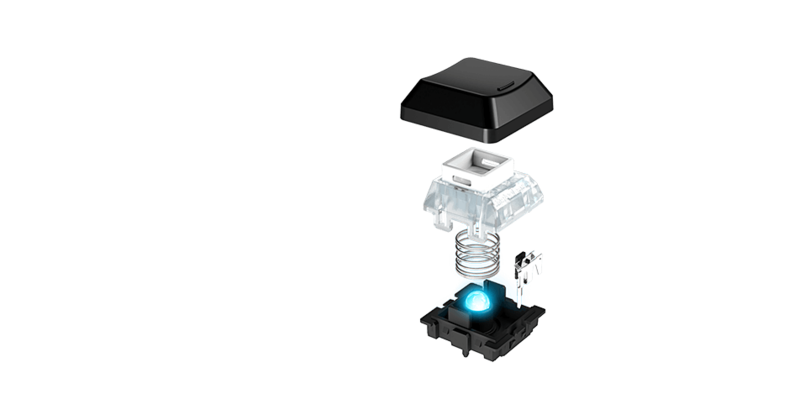 Yes, the Apex M800 comes with an extra keycap for the command button.